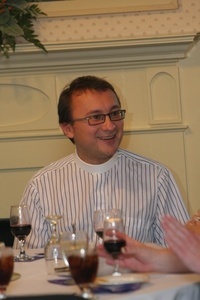 A native of Poland and a former lawyer, graduate of Yale Divinity School (M.DIV 2010, S.T.M2012), Pastor Kaz has been with First Church in Marlborough since August 2011. He brings to us, a love for the Bible, liturgy and his contagious sense of humor. He is First Church's first openly gay pastor.